Moise Levy of Softvoyage, one of Canada's most successful travel companies, will be inducted into the Canadian Travel Hall of Fame May 17 at the TravelPulse Canada Readers' Choice Awards. 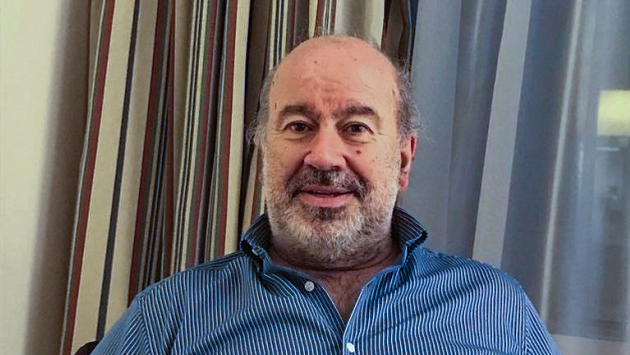 Moise Levy made his reputation with travel technology. But he says he owes a great deal of his success to something far from the world of computers. “Books are a very important part of my life,” Levy told TravelPulse Canada. "I like stories that inspire, that really tell you about human beings. Levy has obviously learned a lot. The 56-year-old Montrealer will be inducted into the Canadian Travel Hall of Fame at the TravelPulse Canada Readers’ Choice Awards on May 17 at a gala event in Toronto. Levy was born and raised in Morocco. His family left for Canada when he was 14, joining other Jewish residents who were leaving the country at the time. “I think it was more frightening for my parents, who had four children and didn’t have jobs in Canada. I guess it’s the typical immigrant story. For us, it was exciting. We adjusted pretty quickly. Levy attended the University of Montreal and studied computer science, at the time a still relatively new subject. Levy managed an interview with a tour operator in Quebec, Multitours. He was hired five minutes into the process. Levy learned valuable skills in the job, which lasted for a few years. But he wasn’t enamoured with his boss. Levy started doing consulting work and programming for business that were using the TOURS system. He also founded Levy and Associates. Which is funny, because he was on his own. A few years later, Levy joined forces with Steve Ringuet, which resulted in a brilliant business marriage and the birth of Softvoyage. The company they formed remains a dominant player on the Canadian travel scene to this day. “The relationship with Steve was very interesting and very efficient,” Levy told TravelPulse Canada. “We were both very hands-on and were able to continue working together and developing together and sharing ideas. Levy said his recognition for the Hall of Fame is very gratifying. Levy said his love of books has been instrumental in his career and that he enjoys fiction and history. Asked to name some favourites, he rhymed off “Blindness,” a work of fiction by Portuguese writer Jose Saramago, as well as “Ordinary Men” by Christopher Browning (a story about World War II) and “Nonviolent Communication” by Marshall Rosenberg. Levy obviously is someone who loves to read, and someone whose interests are clearly not defined by the latest best-seller list. He also has authored a book of his own. Levy said he very much enjoys travel. A thoughtful response from a very thoughtful man. Levy, a father of three boys and avid squash player, said he was surprised at the Hall of Fame news.